When: December 3rd 2017 11:30 a.m. 2:30 p.m. 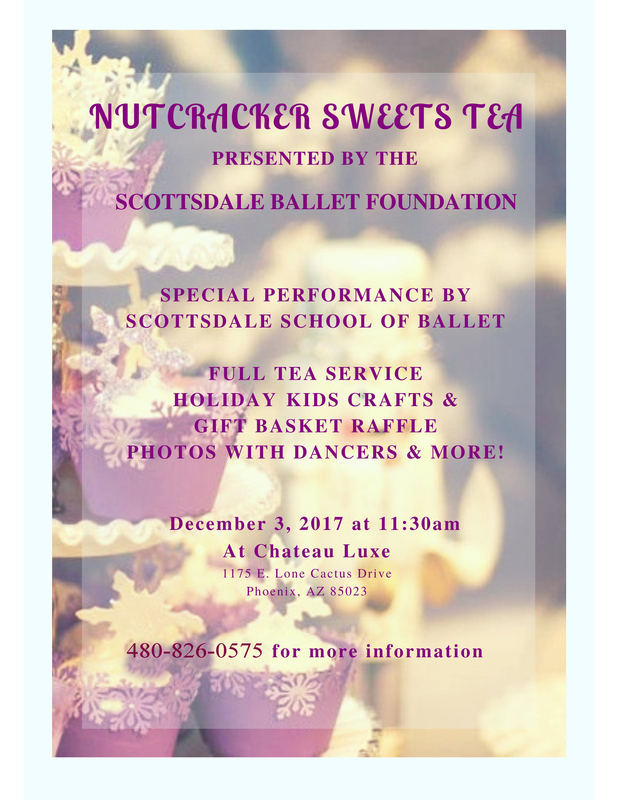 THE 2017 NUTCRACKER TEA HAS SOLD OUT! 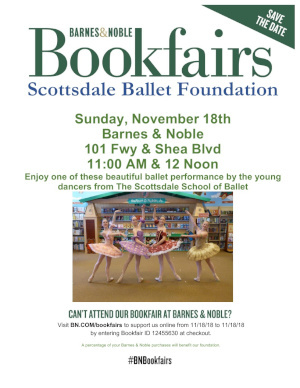 Thanks to everyone who purchased tickets and sponsored tables. We will see all of you at the Chateau Luxe on December 3rd! 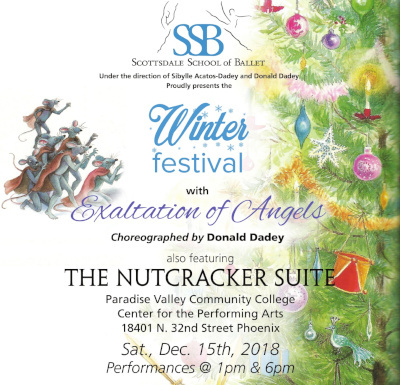 Make sure you purchase your tickets right away as this will be the Holiday event to attend. 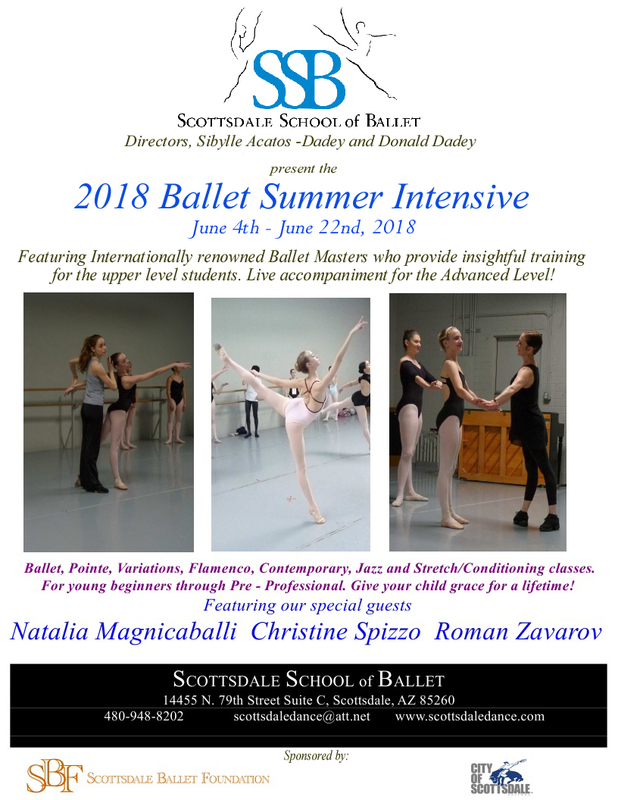 Presented as a fundraiser by the Scottsdale Ballet Foundation, this year’s tea is featured at the stunningly beautiful Chateau Luxe with a live piano accompaniment and a complimentary mimosa in the foyer, to welcome you to the event!